This doll was given to me by my occupational therapist when I was 13. My mom found it one day while she was cleaning the attic. It’s called a Hal’s Pals doll. You can’t find them anywhere in stores but similar dolls have been made by other companies and are sold directly through the mail to certain organizations who work with kids with disabilities. Today, you would be able to find Dolls like this on eBay, but you can’t find this particular one anywhere! This doll is a rare treasure! My therapist gave this to me on the last day of occupational therapy and said, ‘Whenever you look at it, you can remember how hard I made you work.” I smiled and said, “Thank you,” as we hugged each other and my mom and I left the room for the last time. 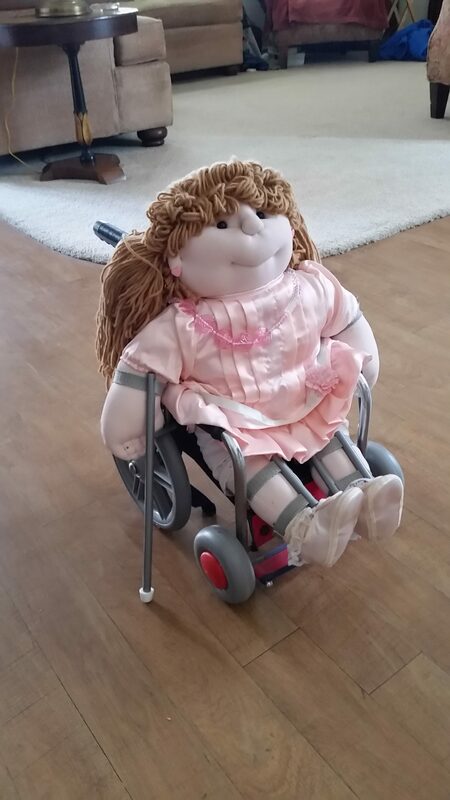 The dolls are designed to give kids with disabilities positive images of themselves and help those who don’t have disabilities to accept and become comfortable around someone with a disability. I’ve seen it work. When my niece and nephew come to my house they love to play with it. 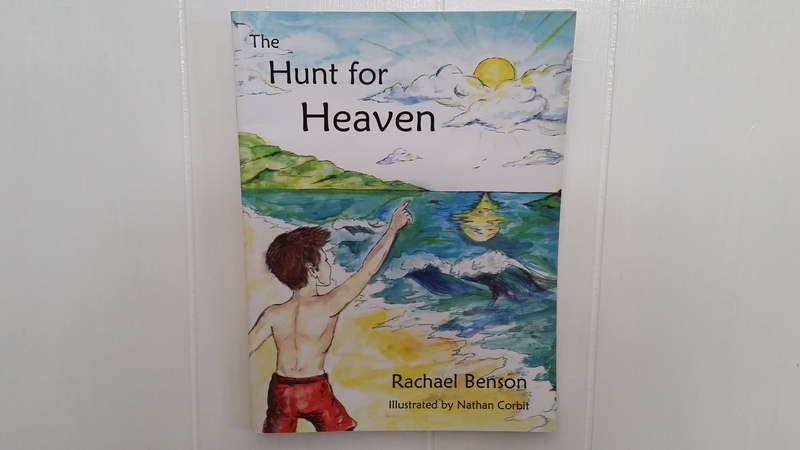 My nephew loves to push the wheelchair and says, “I’m going to take her for a walk.” He pushes her over to the bookcase and says, “Is that nice?” He sounds so cute! When they came to the house last weekend, he and his sister started pushing me in my manual wheelchair down the hallway and spinning me in circles. As for my niece forget the doll, she wants to ride in the little wheelchair! Dolls like this are a great idea. I’m glad to see that more companies are coming out with dolls like this. I wish stories would sell them so more kids could see them and play with them. When it comes to getting society comfortable with people with disabilities, we need all the help we can get. I love this doll! Thank you, Mattel! Kelley, Jack. “Hal’s Huggable Dolls Score a Hit with the Handicapped.” PEOPLE.com, people.com/archive/hals-huggable-dolls-score-a-hit-with-the-handicapped-vol-26-no-6/. Great job Rachael. Love it!